The Fourth Industrial Revolution is affecting various sectors of the economy, including agriculture. 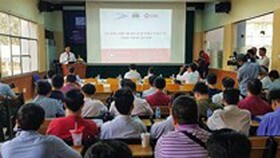 So as not to be left behind, the Vietnamese agriculture should adapt itself by implementing new advanced technologies and solutions. Traditionally, farmers in all regions of Vietnam depend on experience and lessons handed down by their parents to do their job. However, in the era of Industry 4.0, when produce must meet strict demands from the market, being clean, of high quality, and reasonably price, there should be a revolution as well. Realizing this fact, farmer Tran Thanh Tien from Hong Ngu District of the southern province of Dong Thap patiently visited many places to seek proper solutions and boldly applied them in his own vegetable fields. He choses to use the advanced cultivation techniques from Israel to grow his 0.3-hectare land of melon and cucumber. It requires the application of organic and Nano fertilizer, hi-tech watering systems, and cutting-edge monitoring systems on all vegetable trays. Similarly, in My Dong Commune of Thap Muoi District in the same province, farmers piloted the ‘ideal rice cultivation model’ for the 2017-2018 winter-spring rice, under the guidance and cooperation of Rynan Smart Fertilizers, in a surface are of 7.6 hectares. This model exercised high technologies in the stages of transplanting rice seedlings, fertilizing plants and spraying herbicide or pesticide, which brilliantly saved time and cost. 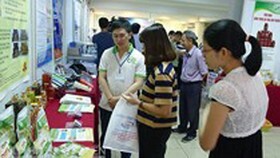 They also applied the smart fertilizer ‘one for all’, the automatic watering system managed by a smart phone. 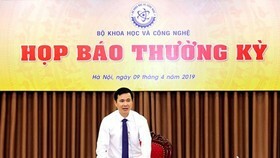 According to Mr. Nguyen Thanh Hung, Vice Chairman of the Dong Thap Province People’s Committee, this ‘ideal model’ has the benefit of saving the quantity of seeds, fertilizer, herbicide while reducing greenhouse gases and increasing the productivity by over 10 percent. The result is clean rice suitable for export. In the neighboring province of An Giang, the quality of agriculture is paid more attention. The province is forming large focused areas to grow certain crops. Farmers in these areas closely cooperate with one another and are guaranteed the outcome. 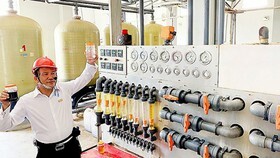 They make good use of new technologies to grow crops in nethouses to ensure the sanitation. They also integrate fruit growing with ecotourism when possible. All are to exploit every resource at hand to save cost. 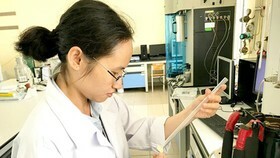 As stated by Dong Thap Province Party Secretary Le Minh Hoan, there are various ways to implement results of Industry 4.0 into production, and his province strictly follows instruction of scientists, which is to minimize the use of chemicals and increase the amount of organic fertilizer, making produce more environmentally friendly and highly nutritious. To achieve this goal, there must be more channels to popularize necessary knowledge to farmers and more policies to encourage startup companies that can effectively combine technology with current local resources. There must be guidance from the business community and scientists as well. 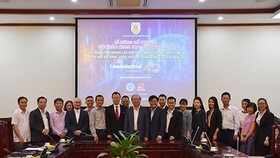 Mr. Nguyen Minh Nhi, former Chairman of the An Giang Province People’s Committee affirmed that in hi-tech agriculture, businesses must take the initiative and carefully guide farmers to observe specific technological processes, under the guarantee of a legal contract. The situation where farmers spontaneously grow a crop and then have to sell it off at a ridiculously low price must be avoided at all cost. 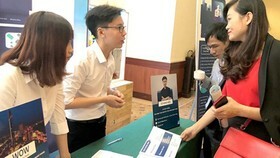 The role of the government in this game is to create a legal corridor and logical sanctions, to encourage focused research in agriculture, to construct necessary logistics infrastructure in order to boost the competitiveness of Vietnamese produce. 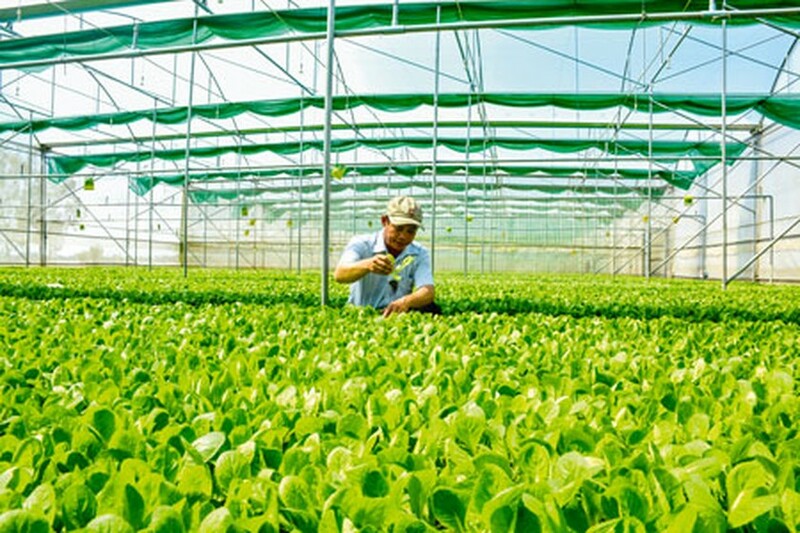 At the moment, many large corporations like FLC, TH, Sao Mai, Xuan Thien, Loc Troi, or Sunrise (from Australia) are investing in hi-tech agriculture for such produce as rice, cattle, aquaculture. 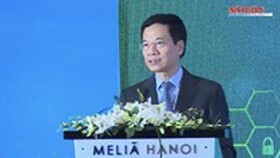 Mr. Tran Anh Thu, Vice Chairman of the An Giang Province People’s Committee shared that the local authorities have worked with the Ministry of Agriculture and Rural Development to find ways to spread the province’s advantages so that interesting businesses, both domestic and international, can invest in its agriculture sector. 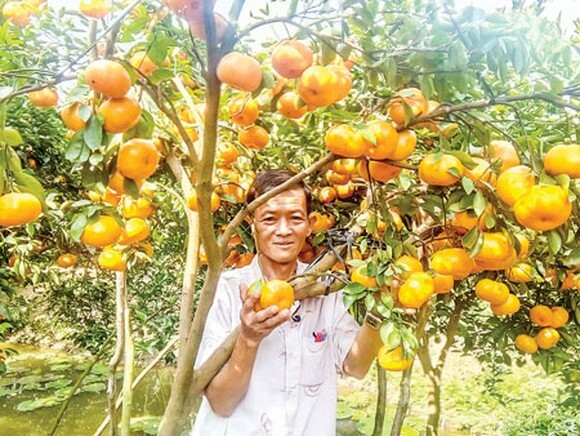 An Giang Province has already certified one hi-tech agricultural area and approved six agricultural projects that implement high technologies. 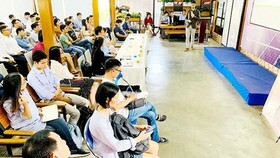 It is going to continue supporting businesses in the registration process for more hi-tech agricultural areas in the hope to gain access to preferential policies from the central and provincial government.